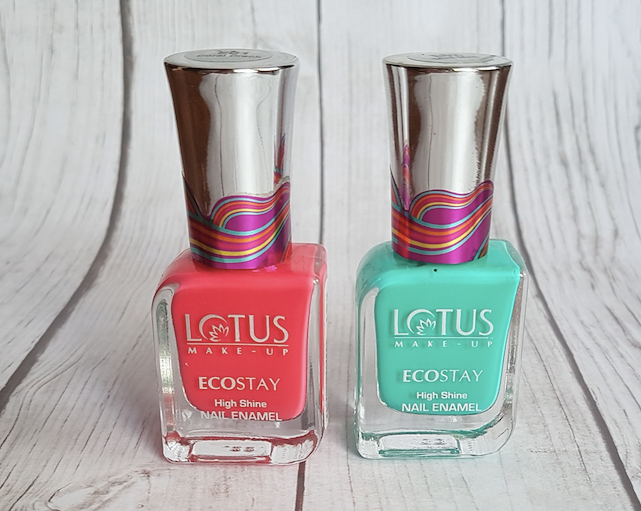 Hello everyone, today I’m going to share the review of Lotus Make-up Ecostay High Shine nail enamels in the shades E61 (Coral Crack) and E62 (Mint Mad). 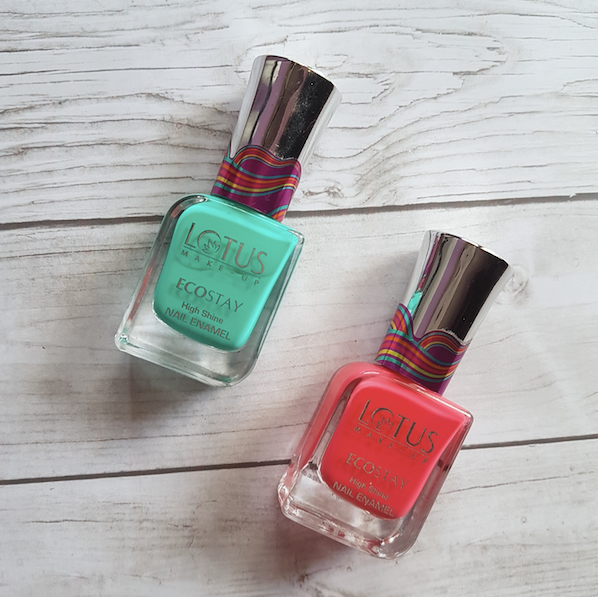 Lotus Herbals has recently launched their ‘Clash of Colors‘ limited edition makeup range that includes nail paints, matte lip colours and matte lip pots. I bought some of their newly launched products a few days back from a nearby mall. I got two nail paints out of 5 and had been trying them for some time. 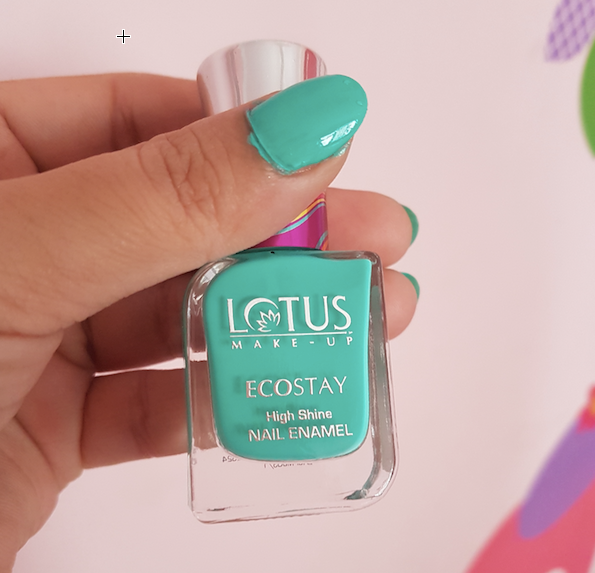 The packaging of the nail paints is almost similar to their Ecostay nail enamel range, and the only difference is the colourful detailing on the cap. The brush applicator is of good quality and helps in even application of the products. The shades are not unique though have pretty bright, summery colours. 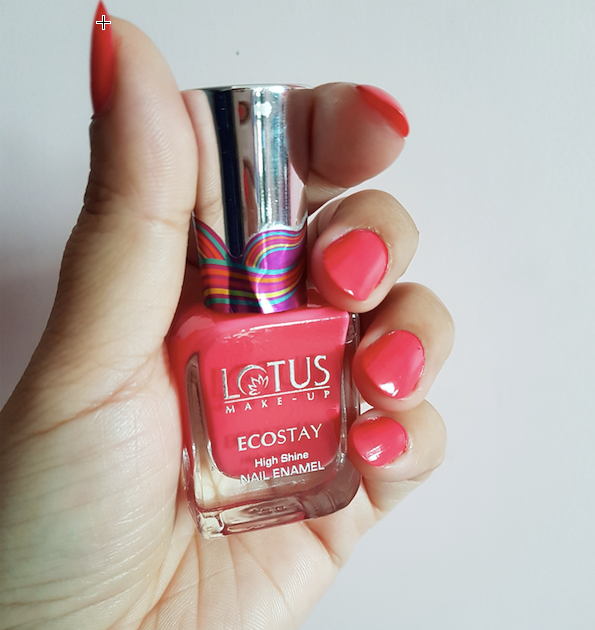 The price of the Lotus Make-up Ecostay High Shine Nail Enamel is Rs.199 for 10ml. 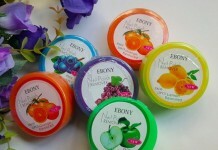 You can easily buy these from local beauty stores and Lotus Herbals counters in malls. A pretty milky green colour that will suit all complexions. 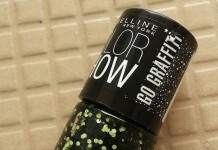 It has good pigmentation and goes opaque in 2 coats (here I applied 2 coats). Stays on the nails for two days and then start chipping from edges. 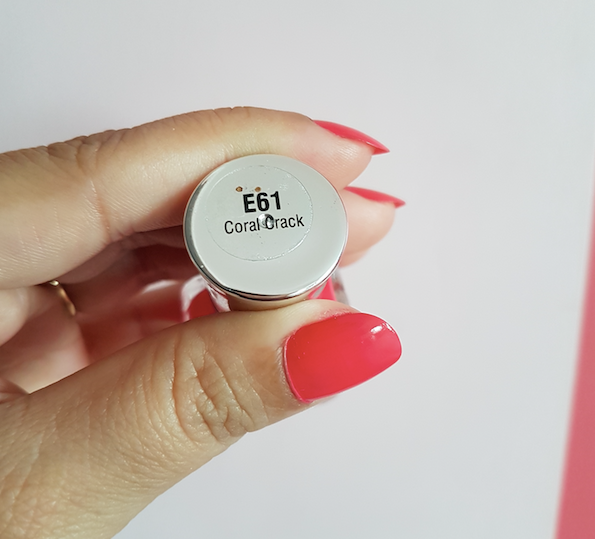 Its formula is quite thick that makes it difficult to apply and also gives the uneven finish. 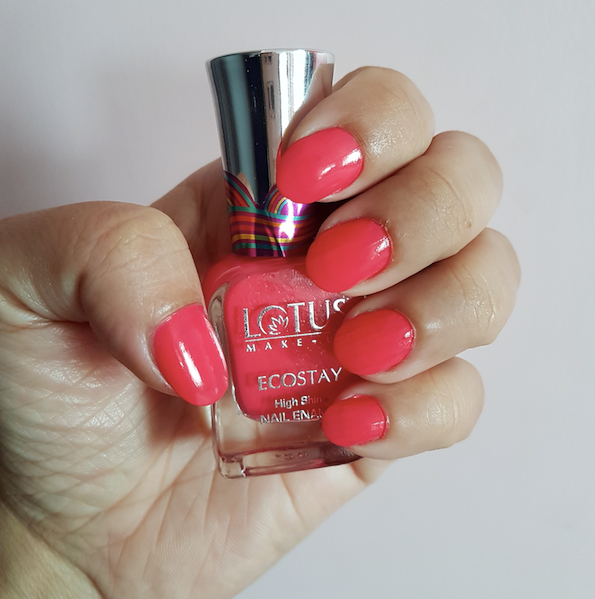 It doesn’t have fast drying formula and takes time to dry if you apply two coats. 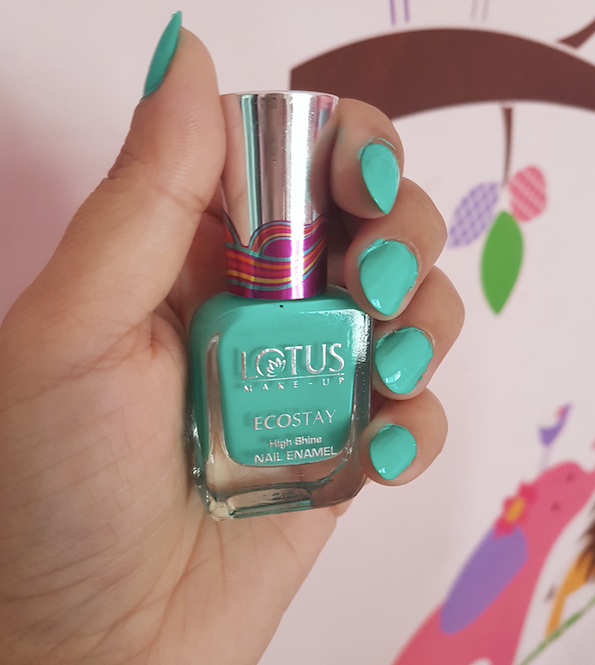 The formulation is better than the Mint Mad nail paint. It glides smoothly and gives even finish. 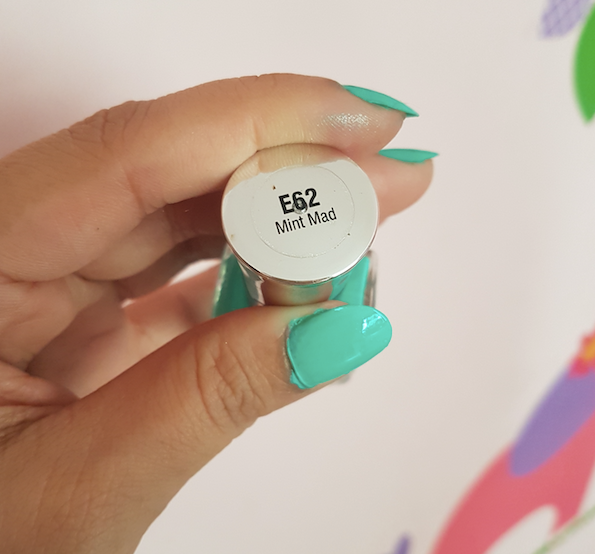 Has better pigmentation than the green one and also gives the better finish to the nail (here I applied just a single coat). 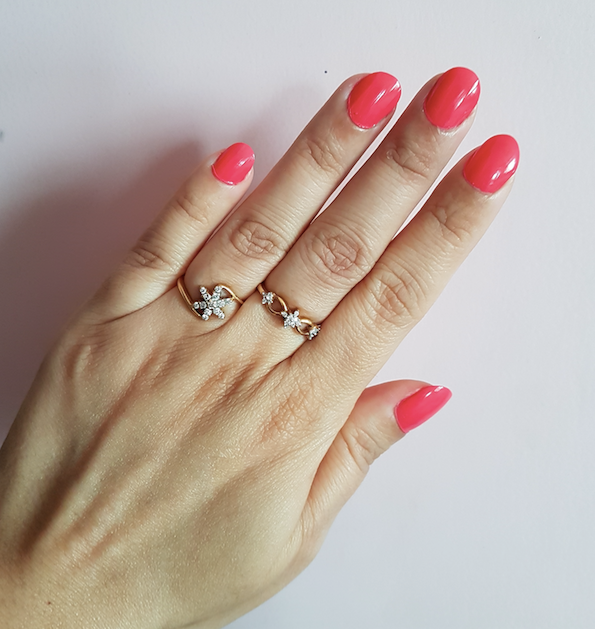 It is a beautiful pinkish coral colour that looks very pretty on hands. Overall, I found these nail paints pretty average. 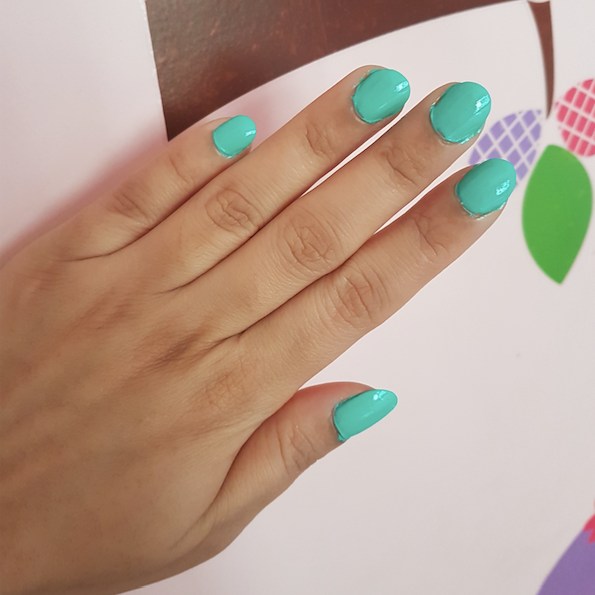 The shades are not unique and you can easily find these colours either in Maybelline color show range or Nykaa nail paints at the lower price.